Home › Best-Sellers › Neat Feat 3B Face Saver Antiperspirant Gel For Facial Perspiration And Shine .. 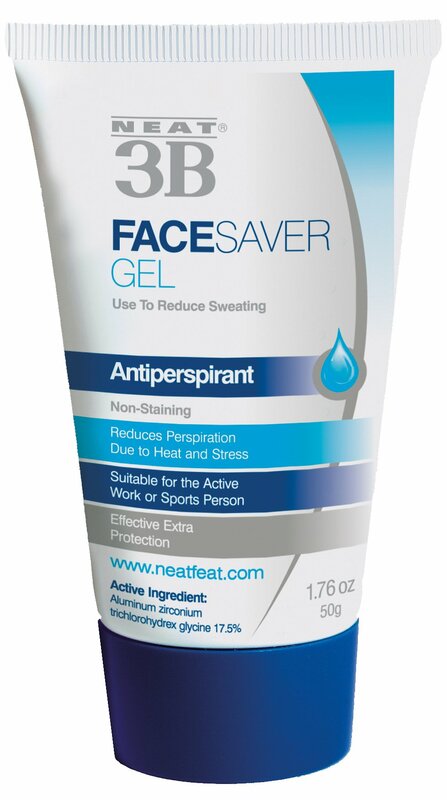 Size: Pack of 1 Neat Face Saver Gel has been developed as a lightweight, gel formulation whichis best applied before other facial cosmetics, but may be applied at any time.The antiperspirant gel formulation of Neat Face Saver Gel evaporates rapidlyfrom the surface of the skin leaving the active, antiperspirant ingredient asa thin film whose antiperspirant effect will last for several hours. Theproduct will not affect the production of perspiration from the scalp, but itwill help to decrease the amount of perspiration visible on the face.Similarly, the beads of sweat that can form on the upper lip during tensebusiness meetings are much less likely to occur. Neat Face Saver is used bypeople working in warm climates, athletes and people who perspire more freelythan others. It is particularly useful for those people that suffer theembarrassment of having facial perspiration dripping down the forehead. Forexample at a business meeting, a social event or a recreational sportsfunction. Most people will have experienced this problem - they may havesuffered from it themselves, and they will almost certainly have witnessed itin other people. Neat Face Saver Gel should be applied to the forehead, theupper lip and the back of the neck. It should not be applied on or near theeyes, and it should not be applied to the scalp. The product does not appearto cause any reactions with other cosmetic ingredients, and it is entirelysafe to use. As with all antiperspirants and cosmetics, there is a slight riskof an allergic reaction to one or other of the product's ingredients, but thiswill settle when use of the product is stopped. When Neat Face Saver Gel isapplied prior to other cosmetics, the second product will remain on the skinfor much longer and will be less influenced by facial perspiration. This isparticularly helpful for sunscreens and other such products which are requiredto remain on the skin for as long as possible.